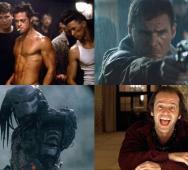 Movie Classics that Opened to Horrible Reviews by Critics! Here are a few movie classics that received bad reviews but nevertheless, became movie classics in their own regard to many movie fans. The films listed here were either slammed by Roger Ebert, Variety, NY Times, and Time or every one of them. This list includes The Shining, Psycho, Predator, The Exorcist, Halloween, Alien, Blade Runner, Fight Club, and Star Wars: Episode V - The Empire Strikes Back with their respective bad critic review. Tried to keep this movie list short so feel free to add additional suggestions to the comments below. Mick Garris’ Psycho IV: The Beginning (1990) is getting a Blu-ray release on August 23, 2016, via Scream Factory. 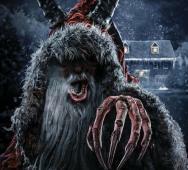 This Blu-ray version will feature all-new extras including interviews with the director, cast members, and makeup effects artist Tony Gardner. Happy to see so many added bonuses in this release. 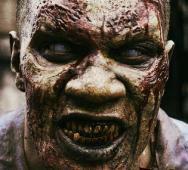 Anthony Perkins, CCH Pounder, and Henry Thomas star in Psycho IV: The Beginning. 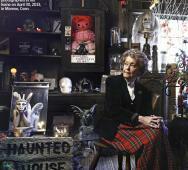 Ever wondered what the best horror museums in the United States are and where are they located? I was creeped out while writing this list of horror museums as I learned that there is a book bound in human skin amongst other gut-wrenching/churning things. Most people would think of historical items, art, and dinosaur bones when they hear the word museum but a few will gaze off with excitement because horror museum comes to their mind when they hear word museum. 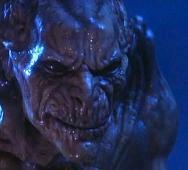 Here are 6 fun facts about Stan Winston‘s Pumpkinhead (1988). With the Scream Factory Pumpkinhead Blu-ray release in September 2014 and the Pumpkinhead Reboot in 2017, thought it was time to show this horror icon some love. 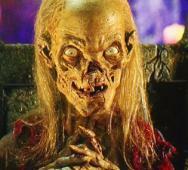 This franchise is one that some may overlook, but you should give a chance because the demon creature is a little indistinguishable from the human monster Ed Harley played by Lance Henriksen. Sony Cancelled Playstation's POWERS TV Series After 2 Seasons!? 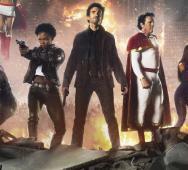 It was confirmed today that Sony cancelled their first Playstation original series Powers after only 2 seasons. Season 2 of Powers ended nicely, and I was looking forward to watching Season 3 of Powers, but that is all cancelled now. Comic creator Brian Michael Bendis tweeted the fact to the Powers fanbase. Bendis leaves it open that Powers might find a new life somewhere else, but we know chances are slim for all the moving parts to fit the same again. That being said, I am still hooked on the show so I would watch the continuation if there is ever one. Sony screwed itself by locking the show behind their Playstation Network and subscription plans. I remember looking everywhere to rewatch the Powers Season 1 episodes again before the Powers Season 2 premiered but had an extremely hard time finding it. 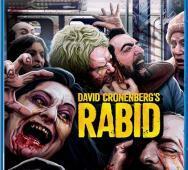 I did find it on Sony’s other streaming service Crackle. However, the quality was horrible, and the ads were too frequent, Sad news indeed for those of us who invested in the TV series and the story. 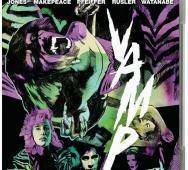 Arrow Video announced that they will release the Vamp (1986) Blu-ray directed by Richard Wenk. 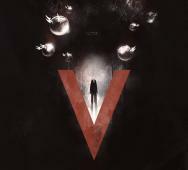 The release date is set for October 4, 2016, in the US and the UK Blu-ray/DVD release on October 3, 2016. This version of the film features a High Definition digital transfer along with a few special features all detailed below. Return to the After Dark club for a taste of one of the best campy vampire movies ever released. Adam Wingard‘s live-action Death Note (2017) film is one that I am paying close attention to and you should too. Willem Dafoe was announced to voice the Shinigami Ryuk. That casting is a terrific match as Dafoe played a similar character when he played the Green Goblin in Spider-Man (2002). 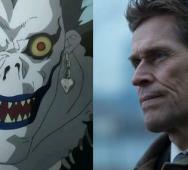 Remembering Dafoe’s performance as the Green Goblin, it is easy to picture Dafoe in the role of Ryuk the Shinigami. The image of Ryuk provided here is taken from the Anime series. Dafoe will star with Nat Wolff as Light Turner and Keith Stanfield as L. Death Note is set to premiere on Netflix next year. H.P. 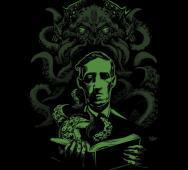 Lovecraft gave us one of the greatest monster gods in Cthulhu, an ancient evil being that far predates humans. Reading the Cthulhu description by H.P. 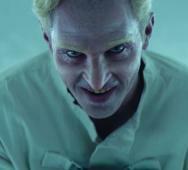 Lovecraft, it is evident that merely viewing such a being would drive any human insane. This list includes excellent facts like Cthulu’s relatives, birthplace and origins, resting place, and other quick facts. We created this Cthulhu list to gather all of the Cthulhu facts from multiple sources around the internet and hope you enjoy it.